You are here: Home / Travel / NKOTBSB Cleveland Concert and Road-Trip to Chicago! Scream like a 15-year old girl? Well, that’s what we did this past weekend and it was absolutely amazing seeing bands that we admire up close and personal! I apologize for being a bit absent lately but, I’ve been on our summer vacation. We had quite the road trip at first and when we came back we jumped on a plane! We went to catch the NKOTBSB in Cleveland, Ohio and then we drove through Ohio and Indiana and drove to Chicago. It was a good time and we are blessed to have come home with safety. It was a time of indulgence and relaxation, though I’m definitely feeling it now and because of it, I’ve started my detox! 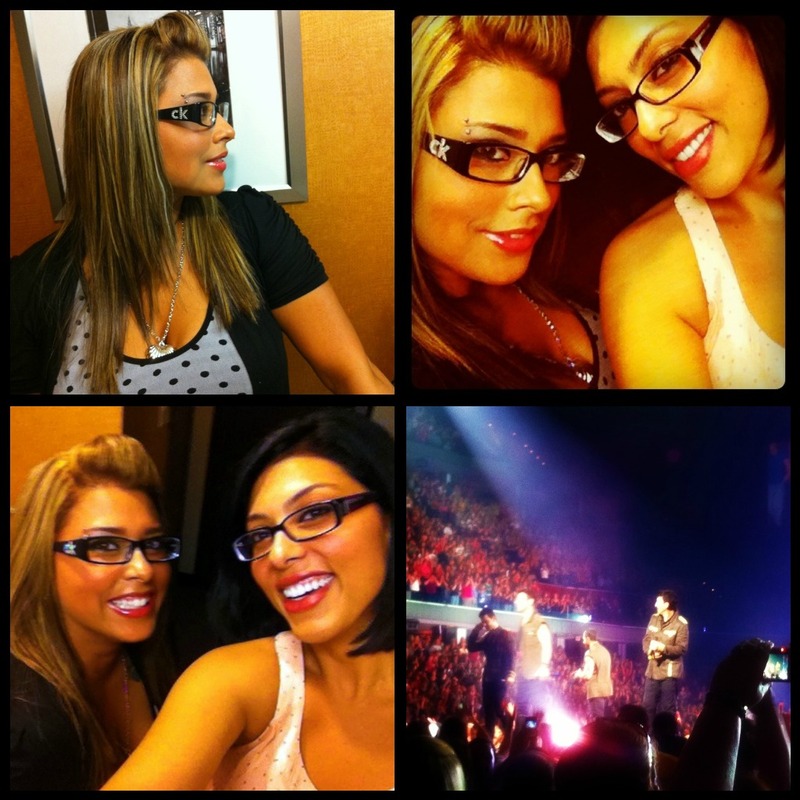 Well, the NKOTBSB were amazing and I’d have to say one of the best concerts so far and we had amazing seats. They were so close and they came out to the audience quite a few times! Jordan smiled and pointed at me and my sister TWICE. We were like 15 year old girls all over again. I think I almost lost my voice! Also, I think my poor Hubby was one of 2 men in the building. 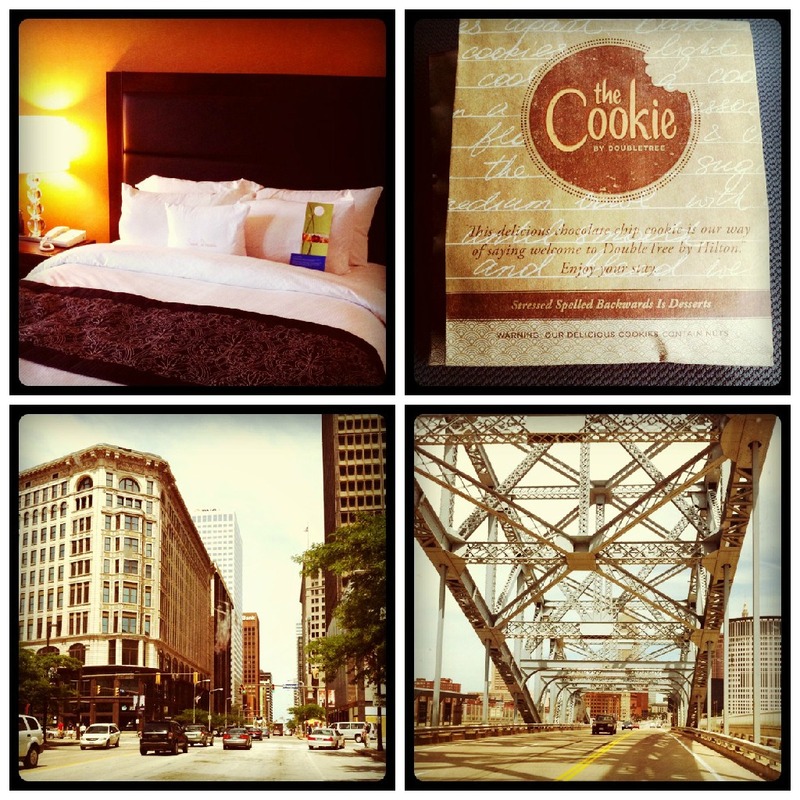 We stayed at Double Tree in Cleveland and it was a gorgeous hotel, comfortable and we were treated amazingly! We even had warm cookies upon arrival and took advantage of their gym facilities. 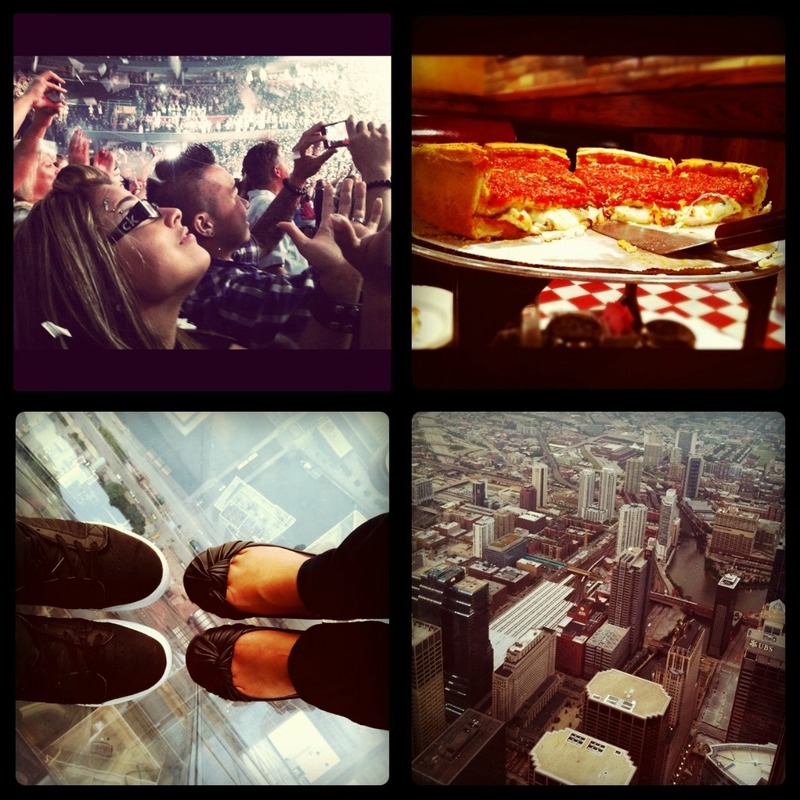 We had some Chicago-style pizza at Giordano’s and we went to the Sears Tower and just took in the city! If you are ever in Chicago, you must visit Giordano’s, they have lines that are wrapped around and outside but, it is so worth the wait. You can call ahead and make a reservation to make things easier though! It’s also literally across the street from the Sears Tower. So, you are steps away from complete deliciousness. After your slice of pie, make sure you try their amazing tiramisu! We also walked the city and can I tell you, my heart is split in two places. Wow, what a feel of a city. I. Need. To. Go. Back. On the way home we spent the night in Kalamazoo in a nice little hotel. It was lots of driving and we changed trucks twice because we lost our keys! I even forgot my iPad in the Cleveland truck but, thankfully–it has returned to me! It was really funny but, it was a great road trip with my besties! I cannot wait to return to Chicago and to truly explore the city, it was a quick road-trip and can you really every say you crossed 2 states to go for pizza? And it was amazing because I heart traveling! 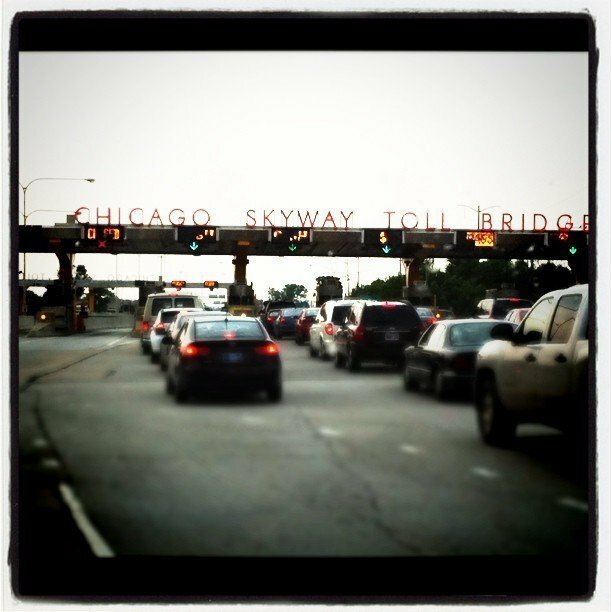 Have you ever been to Chicago, what are your favorite places to visit? Previous Post: « Amy Winehouse Joins Club 27.